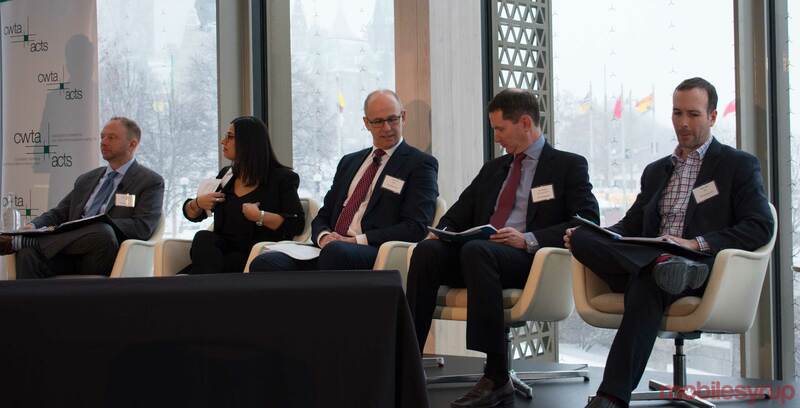 Canada’s success in the race to 5G depends on municipal regulators and lawmakers working alongside industry, according to a Rogers regulatory executive speaking at the Canadian Wireless Telecommunications Association’s (CWTA) 5G Canada Council conference on Wednesday. David Watt, the senior vice president of regulatory at national telecom Rogers, believes that carriers are going to need to better work alongside municipal governments in order to implement 5G networks across Canada. “Municipalities have to be viewed as an infrastructure partner,” said Watt, at a panel held at the National Arts Centre in Ottawa. Watt further argued in favour of amending Canada’s Telecommunications Act so that the CRTC would have jurisdiction over certain public electrical utilities like hydro poles. As of right now, the Telecommunications Act enumerates that carriers can apply to the CRTC for access to “the supporting structure of a transmission line constructed on a highway or other public place.” However, the Act doesn’t provide the same enumerations for so-called wireless lines of transmission. Paul Cowling, the vice president of legal and regulatory affairs for regional telecom Shaw, echoed Watt’s remarks regarding the amendment of the Telecommunications Act. “It’s unclear whether electrical utilities are caught by the CRTC’s jurisdiction,” said Cowling. Jessie Adcock, the chief information officer for the City of Vancouver, seemed to agree with Watt’s sentiments regarding municipalities as partners for 5G deployment. Adcock spoke about how Vancouver collaborated with Telus and Shaw to establish Canada’s largest free public Wi-Fi network. “Five-, six-years-ago, [that] would not have been possible,” said Adock, adding that the city didn’t have the mechanism to get that for free. Adcock also said that the City of Vancouver has been working on reducing the total amount of bureaucratic redtape needed for carriers to seek out permits and licenses in the city to build infrastructure. “…We’ve also been looking at the types of activity that comes through our licensing office and try to commoditize the requirements,” said Adcock. However, Adcock emphasized the importance of acknowledging that it’s not easier for municipalities to implement regulation simply because municipal councils are smaller than provincial or federal legislative assemblies.